Time to sell your Gulf House condo? Read about today's resort-market condo buyer. 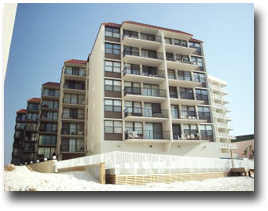 Gulf House condominium complex is located in the heart of Gulf Shores, Alabama. It is located just less than one mile from the "T" and downtown Gulf Shores. It offers a convenient location within walking distance to several restaurants and attractions, including the Sea-n-Suds restaurant and the Gulf Shores State Park fishing pier. This six-story, concrete and steel, 36-unit, mid-rise complex is located right on the beach. Each of the units offers some type view of the Gulf of Mexico, as the building is staggered going back from the beach. Each unit has two bedrooms and either one or two bathrooms (many of the units have been altered to add an extra bathroom). Prices range significantly in the building, depending on where the unit is situated. Obviously the gulf-front condos command the higher prices. It is a great opportunity for that first time condo buyer looking to be on the beach. The complex offers an outdoor pool, BBQ area, and laundry facilities. Gulf House sits between popular beachfront developments Lighthouse, Colonnades, and Castaways. Find more condos along with revenue info and recently sold prices in the surrounding areas by visiting our Gulf Shores Condo for Sale and Orange Beach Condos for Sale pages. Please let us know if you would like recent sales info for Gulf House or any other condos, homes, or real estate along the Gulf Coast or would like to schedule a private viewing by emailing info@condoinvestment.com or by calling (251) Area-Pro (251-273-2776) for immediate assistance. Learn how to maximize your Gulf House rental revenue with our RENTAL TIPS. Use our Condo Revenue page to find annual rental incomes for Gulf House and all other Gulf Shores condos.